Empower SCI, Incorporated is a residential program catered to individuals who have had an injury to their cervical spinal cord. The program focuses not only on the formal physical therapy, occupational therapy, and recreational therapy; but more importantly peer mentoring, rehabilitation counseling and informal knowledge-sharing between individuals who are going through similar experiences and challenges. The yearly two week program will consist of a combination of individual and group therapy sessions. Each program will be catered to the unique needs of the client, with client-developed goals to maximize the client’s ability to lead a happier, more meaningful and more independent life. It is our focus at EmpowerSCI, Incorporated, to allow individuals with spinal cord injuries the opportunity to participate in successful rehabilitation, in a time in their lives where they are motivated, healed (both mentally and orthopedically) and have the potential to succeed. Empower SCI also runs day long wheelchair skills courses throughout the United States. Empower SCI, Incorporated was launched to fill a gap in rehabilitation services that exists for individuals who have experienced a spinal cord injury due to shrinking reimbursement, inopportune timing of rehabilitation services, and a shortage of clientcentered care. Frequently, the reimbursement limitations of health insurance prevent an appropriate length of stay immediately following injury. Patients are scarcely given adequate time to recover basic survival skills and most leave before they are able to regain complete independence. Often, there is also a disconnect between when an individual is ready for rehabilitation and when they are allowed rehabilitation services. The time following a traumatic spinal cord injury can be complicated with grieving, orthopedic restrictions, pain, and the healing of broken bones other than the vertebral column. It can take up to a year, if not more to work through the gravity of the situation that is created following a traumatic injury. 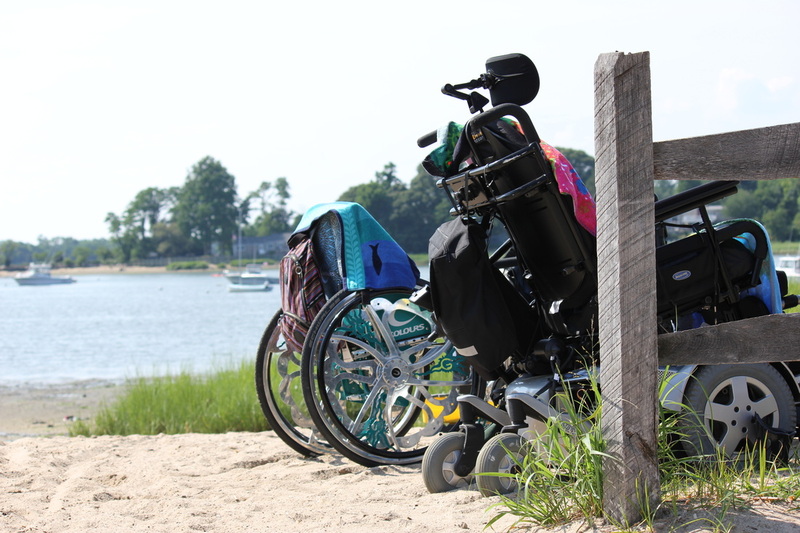 The three founders of Empower SCI Incorporated, Carinne Callahan, Jessica Goodine, and Elizabeth Lima Remillard, had the unique opportunity of working in a residential rehabilitation program whose focus was holistic, client- centered, and invested in an individual’s right to live, not merely to survive following a spinal cord injury. The program treated individuals 1-2 years injury post injury, but unfortunately, was closed in 2008 due to the troubled economy and financial cutbacks. The closure was devastating to many, but there was absolute consensus among past program participants and employees that there was a great need for this program to be revived. In the summer of 2010, the founders began to lay the ground work for the program revival and plans for Empower SCI, Incorporated were revealed in April of 2011. With a successful one week pilot program launched in July of 2012, it continues to be the founders’ focus at EmpowerSCI, Incorporated, to allow individuals with spinal cord injuries the opportunity to participate in successful rehabilitation, in a time in their lives where they are motivated, healed (both mentally and orthopedically) and have the potential to succeed. Jessica Goodine has been a Physical Therapist for 10 years, graduating from the University of Vermont in 2007. In 2016, Jessica became a Neurology Clinical Specialist through the American Board of Physical Therapy Specialties after devoting most of her career to working with individuals living with neurological deficits. Jessica started her career after having the opportunity to work at a residential rehabilitation camp, with a similar mission as Empower SCI, as both a residential aide and Physical Therapist. She has worked at Spaulding Rehabilitation Hospital in the spinal cord injury inpatient department in Boston Massachusetts, as well as spending 6 of her 10 years working with the war wounded and their families at Walter Reed National Military Medical Center in the greater Washington D.C. area. Most recently, Jessica has moved to North Carolina and has started to pursue adjunct teaching, with a focus on the adult neurological population, at both Methodist University and Campbell University’s Doctorate of Physical Therapy programs. Throughout her career Jessica has had extensive exposure to the spinal cord injury population through Wheelchair Rugby and volunteered her time with both the Tucson, Arizona and Washington, DC teams as support staff. She has an outstanding ability to organize and her passion in working with individuals with spinal cord injuries is unrivaled. Better know as "Liz Lima," she is a graduate of Boston University and currently lives in Rhode Island with her husband and two children. She has 4 years of experience working with the spinal cord injury population and an additional 8 years of acute rehabilitation experience in working with individuals with a variety of neurological impairments. She currently works as the Academic Fieldwork Coordinator for the Occupational Therapy Assistant Program at the New England Institute of Technology. Liz also works as a per diem, inpatient Occupational Therapist at Southern New England Rehabilitation Center (SNERC) in RI where she co-leads Spinal Cord Injury Support Group. She is cross trained in the acute care and outpatient settings. Liz has collaborated with the physical therapy department at SNERC to create Spinal Cord Injury competencies for therapy staff in accordance with CARF recommendations for facility re-accreditation. She is an active member of the occupational therapy community and is the past volunteer chair and a conference committee member for the Rhode Island Occupational Therapy Association. She has had the unique experience of working as House Director at a rehabilitation summer camp with a similar mission as Empower SCI. In 2015, she was the recipient of Boston University's Emerging Leader and Occupational Therapy Alumni of the Year Awards.